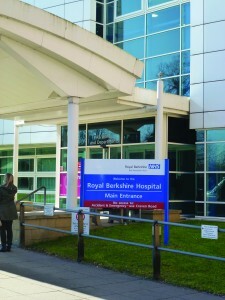 Like all NHS Trusts, Royal Berkshire Foundation Trust was tasked with achieving annual cost savings. As a major supplier, Cook Medical was asked to explore ways to support the Trust’s savings agenda. Although the Trust’s endoscopy unit manager and Cook’s endoscopy division sales representative had a strong clinical relationship, this was the first time that the Trust’s senior management team and Cook’s Healthcare Business Solutions team had worked together. To assist with the Trust’s savings initiative, Cook reviewed its full product range and submitted new proposals to help deliver cost savings. During this process, the head of procurement highlighted endoscopy as an area with specific cost pressures and challenged Cook to find a quick solution to the problem. Delivering a viable solution would be crucial to the relationship between the two parties. Cook’s corporate account executive and its endoscopy’s corporate account manager immediately convened a meeting of key clinical and business stakeholders from Cook and the Trust. The head of procurement, who had learned that the clinical team held Cook products in high regard, considered how collaboration between clinical and procurement personnel in endoscopy c ould deliver the required savings. The Trust’s endoscopy unit manager was quick to support this idea and extoll the clinical value of Cook devices and the Trust’s relationship with the Cook sales representative. the support of the Trust’s clinical team, product trials and evaluations took place across the product range to ensure that the products met the Trust’s needs. £26,500 in annual savings in the endoscopy division. For more information, or to arrange an appointment with one of our Healthcare Business Solutions team members, please e-mail us at info-EMEA@cookmedical.com. To read more case studies like this, click here.